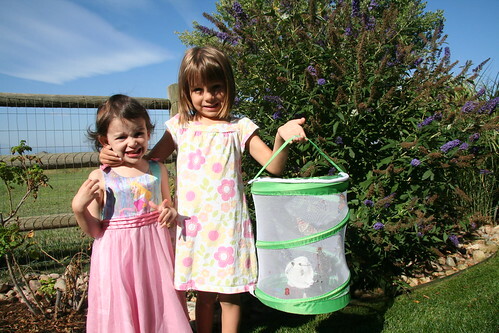 The White Boys got the girls a butterfly farm as a birthday gift. After a busy summer, it was time to send away for the caterpillars. They arrived and were put into their new home. Day later they made their cocoons and hung out. Then day by day, they would break out and a butterfly would appear. The girls thought this was amazing. You can follow the progression through this slideshow.